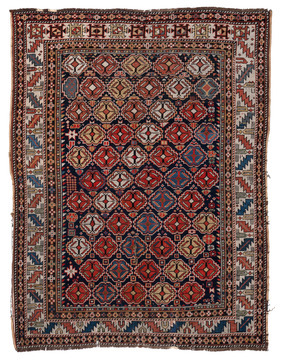 The Caucasus region is located between the Black Sea, the Caspian Sea and lakes Van and Urmia. 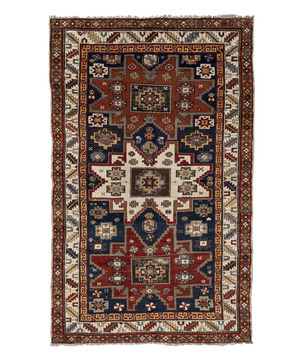 The northern tier of this mountainous place is Russia; the southwest is Turkey and Iran to the southeast. 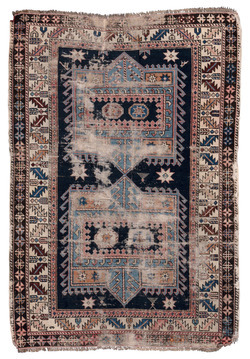 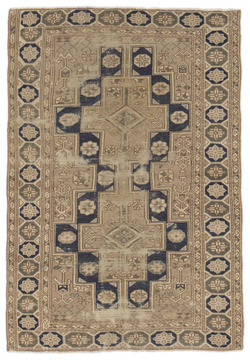 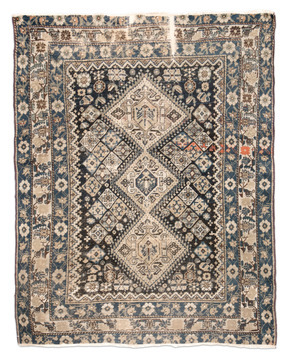 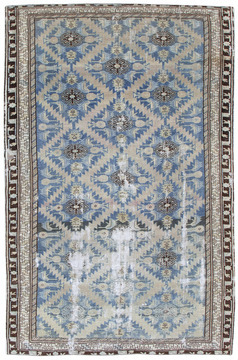 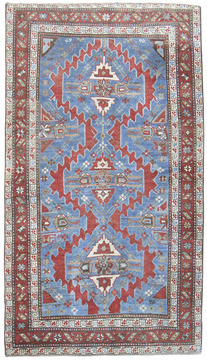 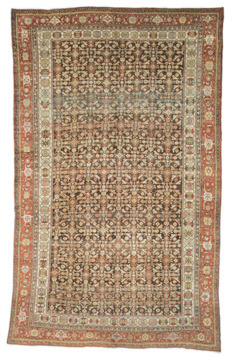 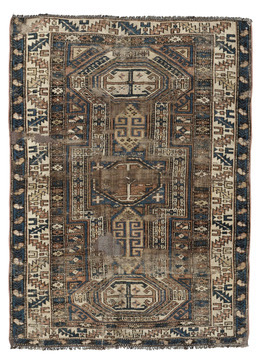 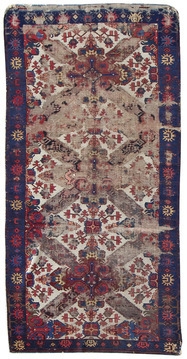 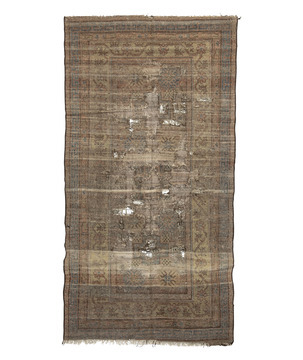 The inhabitants have produced rugs for centuries during a period of constant ebb and flow of invaders and combatants. 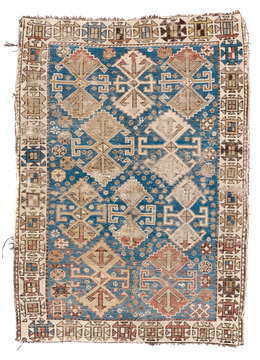 The Armenians are the best-known inhabitants but the Georgians also live here, Christian, Muslim, and heathen are all of the area. 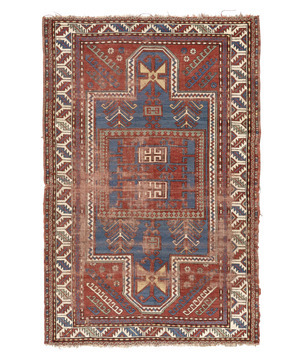 There are the remnants of over a hundred tribes and three hundred recorded dialects. 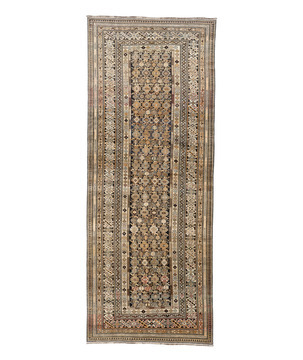 Perhaps the one great attraction of the Caucasian rug is color. 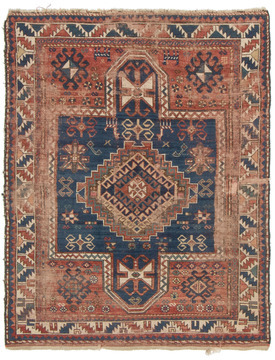 Design can always be duplicated but color is the soul of the rug. 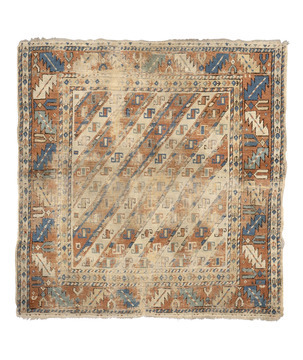 All of the products of manufacture are local, rugged, angular, vivid, yet charming.These rugs are even more bold in design and color than the Turkish; possibly the mountain forms and the strong contrasts of snow and earth are reflected in them. 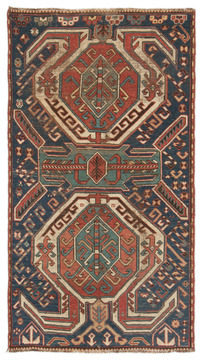 Native designs have persisted unaffected by foreign influences.Practically all the patterns are geometric, with the latch hook appearing in nearly all rugs. 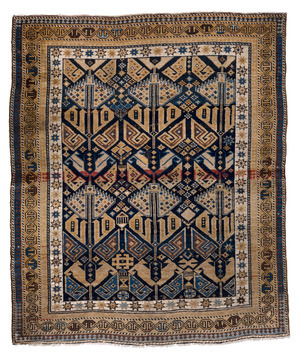 The Ghiordes knot, wool warp and weft, and the prayer-rug size are characteristics of these rugs.There is almost no variation in the six colors that are used, but fortunately for the achievement of harmony, some one color always predominates in these rug and carpets.